Now is the time to add some fun transitional pieces to your wardrobe during indian summer and fall. A shoulder baring dress known as a cold should dress might be in the back of your closet from the 90’s or on the top of your shopping list. Every designer is doing a version from Michael Kors to Boohoo. It is a great style staple for Fall with versatile styling options for women with curves, narrow pencil frames, and ladies looking to add some texture/depth to small shoulders. This dress is one of my favorite new old pieces that’s be sitting in the back of the closet since last year. 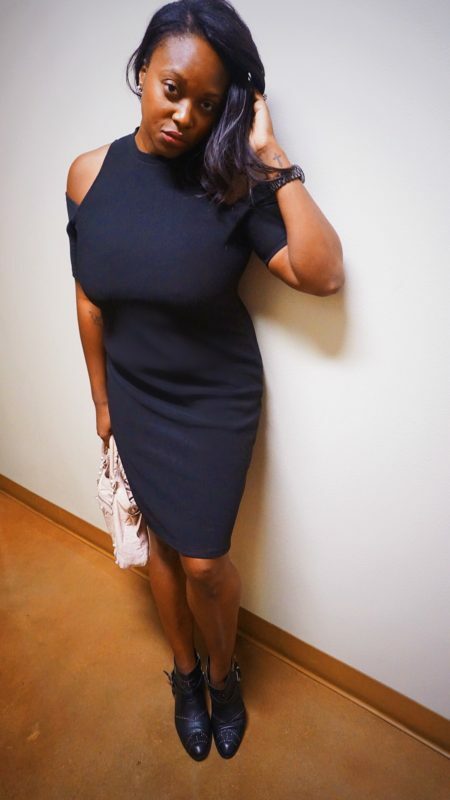 This LBD will be a staple in my suitcase for my trip to Paris. While touring museums, I can wear with my Stan Smiths and a long duster. For dinner and dancing I can rock it with my boots below and add a satin bomber jacket. The options are limitless. 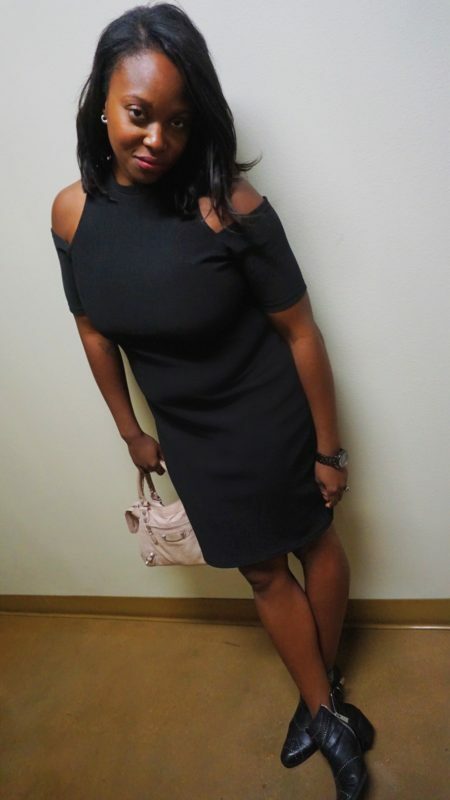 No matter how you slice it add this cold shoulder dress to you wardrobe this Fall.